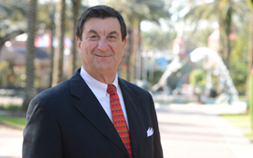 Ron Forman began his tenure with Audubon Park and Zoological Garden in 1972 as City Hall liaison. Arriving at Audubon in 1977 he continued with the transform of Audubon Zoo from an "urban ghetto" to the "Urban Eden" we see today. As president and CEO of Audubon Nature Institute, Ron Forman has been instrumental in the growth of this organization and stands as a community leader in the New Orleans area. 1995 Gambit Newspaper "New Orleanian of the Year"
1994 PR Society of America/New Orleans "Hornblower of the Year"
1993 ADL "Torch of Liberty Award"
1992 National Conference of Christians & Jews "Weiss Award"
1990 New Orleans Magazine "Man of the Decade"
New Orleans Press Club "Headliner of the Year"
New Orleans Area Boy Scouts Council "Distinguished Citizen Award"
1989 Big Brothers/Big Sisters "Man of the Year"
The 10 highest-paid nonprofit executives in New Orleans: How much they make and why.